When we talk about future means of transportation, or more specifically, future cars, we can already see that a big part of the next decades’ innovations starts with today’s developing technologies. Greater road safety, personalized cars, and on road real time drivers network and communication are already a part of our everyday life, and the thought of ‘what will the future bring’ combined with names like Microsoft, Google, and Apple, tells us from the get go that it’s going to be grand. People are individuals – we are very fond of private transportation availability and even though there are other transportation options like public transport systems, people still hold on to their own cars. It is not only a convenience but also a luxury human beings hold dear. 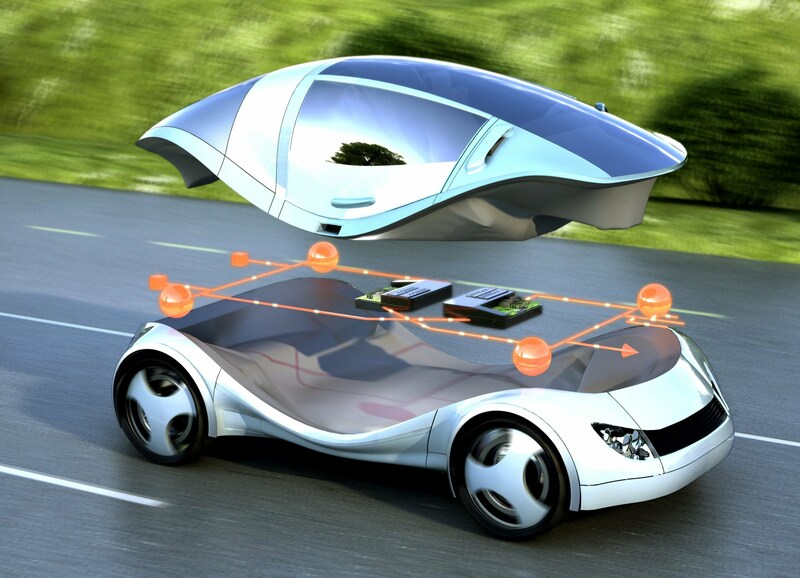 Developing technologies – the global market doesn’t seem to hold back the investment of a great deal of resources, time, and energy in the continuing effort to develop the future automobile field. These two thoughts lead to the conclusion that cars are here to stay, even if in forms other than the one we know today. Will people still be actively driving? One of the main focal points of developed and researched technology has to do with providing a solution to the problem of car accidents, which are predominantly caused by drivers’ mistakes. Although people would still be sitting behind the steering wheel, the car will most likely be controlled by electronic systems. Digital Driving – The aspect of commuting and shared rides will also evolve, thanks to the ever growing concept of the social media culture. Some think of a future where a combination of a cab ride and a car pool will be a part of reality, as self operated vehicles would drive random passengers through a requested route and payments will also be digital. The fuel question – As developing technology deals with the environmental question as well, the resource parameter is also addressed to improve the automotive future. Gasoline and Diesel replacements in the form of electricity and Hydrogen are frequently tested in order to function as an alternative energy source for cars to run on, as well as other, stranger means. These efforts encounter their own difficulties as availability and charging methods problems have to be resolved. These are just some of the elements the evolving automobile technology addresses, it is surely a wide fields of science that deals not only in technology development but also with the evolvement of the entire human kind and its ever growing mobility needs.